Lots of beginning affiliate marketers are attracted to free online blogs like WordPress.com and Blogspot because they’re so simple to set up and use. You just follow the prompts and you’re ready to add advertising links in a matter of minutes. But the truth is a self-hosted blog isn’t really any harder to set up. It’s just that the hosting companies don’t walk you through the steps like the blog platforms do. 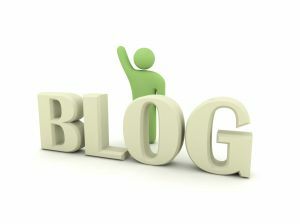 But there are several important reasons why you should self-host your money-making blog. When you use a free blog platform, you don’t have control over your site. When they make changes, you have to go along with them. And if they decide to close down the platform altogether, well you’re out of luck. Think it won’t happen? Windows Live Spaces closed recently and millions of users had to find another option. When you use a free service, your blog name is an extension of the blog domain. So, Sally’s Blog would have the domain “sallysblog.wordpress.com” That’s harder for visitors to remember. And they tend to be harder to get ranked on the search engines. If you want the name “SallysBlog.com,” you have to purchase your own domain and self-host the site. Want to start selling info-products? Thinking about adding a forum or membership component? Hosting your own site allows you the freedom to change your site so it’s more than just a blog. It lets you adapt your website as you grow as a marketer. With your self-hosted blog, you have total control over the design. You can use any theme you like, free ones or premium templates. Or you can design your own theme, if you’re handy with code. The blogging platforms do have a number of free templates, but you’re still limited to what they’ve chosen for you. It’s not just themes, you have to use the fonts they’ve chosen as well. One of the reasons WordPress is so popular among Internet marketers is because there are hundreds of thousands of privately developed plugins available to customize your blog any way you like. Many plugins are specifically designed to help marketers improve their profits. But the free blog platforms limit what plugins you’re allowed to use. This is a major drawback and can set you way behind your competition. Many beginning marketers think self-hosting is expensive and difficult. But it’s really not. Domain names typically cost about $10 a year, and you can use a GoDaddy coupon to make it even cheaper. The hosting usually runs about $5 a month. Where else can you start a business and begin making money for under $20? Do yourself a favor and spend a few minutes learning how to self-host a site. Any good hosting company will walk you through it, if you need help. You’ll be so much happier in the long run. Thanks for the good post, but Can a free wordpress/blogspot website beat a paid domain on google’s pages? Or having a paid domain is easier to get ranked for? Wouldn’t it be expensive to host our own site? I know there are certain tools and software to use to be able to generate a good website. I totally agree with this article. I have used blogspot before and there wasn’t much designs available or plugins and couldn’t really customise it to my liking. I understand about WP.com, but how ’bout WP.org hosted within your own host account? Recommended strategy by many IMers. Should’ve re-read thread 1st. It looks like you’re recommending what I suggested. One more thing: With “self-hosting” (I use HostGator), one can host an unlimited number of domains within the one account. You still have to buy (rent actually) your domain name and pay annual renewals for it but, once you have the hosting account set up, there won’t be any additional costs. Pretty cheap “cost of doing business”.